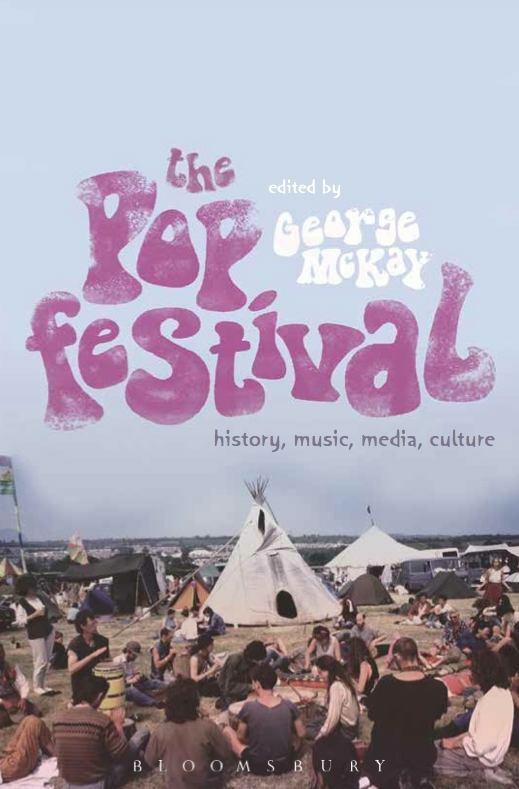 We are delightedA?to announce the publication this summer of The Pop Festival: History, Music, Media, Culture (Bloomsbury), edited by George McKay, which features contributions from other Rhythm Changes scholars too: Anne Dvinge, Andrew Dubber, Nick Gebhardt. Altogether there are 14 essays from UK, USA, Europe, Australia (see table of contents below). 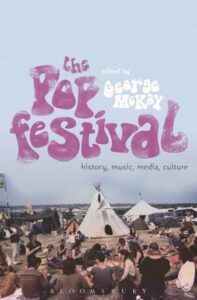 The book is well-illustrated with archive and contemporary images of festival posters, ephemera, and includes a photo-essay on the British counterculture. Here’s what scholars in the field have been saying about it already: ‘nothing less than an alternate history of popular music since the Second World War’ a? ?A?ProfA?William Straw; ‘a lively, challenging, accessible and eclectic collection’ a?? Prof Chris Gibson; ‘[in]A?this wonderful book, McKay assembles a series of masterful essays’A?a?? Prof Andy Bennett. In particular essays by Anne (Detroit Jazz Festival) andA?George (feat. Beaulieu Jazz Festival, 1956-61) deal with the jazz festival. Here’s a short extract from Anne’s excellent study of Detroit, ‘Musicking in Motor City: reconfiguring urban space at the Detroit Jazz Festival’, which draws on her ethnographic and observational research there. … the festival is intimately tied to the cultural and economic history and geography of Detroit. It functions as a marker of identity as well as a creator of radical space. Issues of production and economic gain, of tourism economy and commercial interests are central, but so are issues of participation and community that transcends the boundaries of the festival and its locale whilst being rooted in both place and tradition. I outline this history and development through three perspectivesa? ?the urban concept city, the role of music and the festivala? ?s connection with both. I finally offer a reading of the festival with Christopher Smalla? ?s concept of musickinga? ?music as a verb rather than an objecta? ?in mind. That is, a ritual that functions as a? ?a form of organized behaviour in which humans use the language of gesture a?? to affirm, to explore, and to celebrate their ideas of how the relationships of the cosmos operate, and thus, how they themselves should relate to it and to one anothera??. Thus, the jazz festival performs a complex vernacular play and ritual that ultimately celebrates and connects Detroit with its past, present and future. Any city festival may achieve a temporary transformation of the urban; here I show how joy takes root annually in Detroit, and I also discus the specific contribution of the musical practice that is jazz to making a particular kind of festival and transformation.